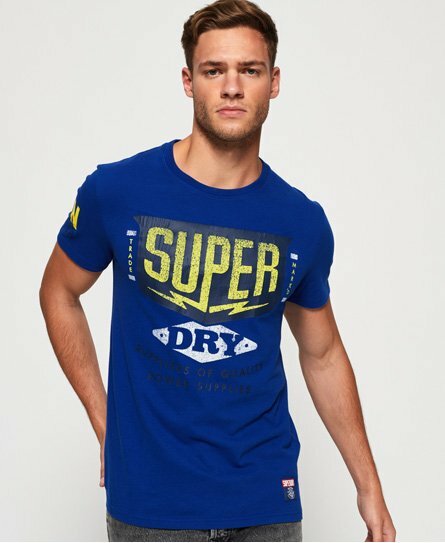 Superdry men’s Power Heritage Classic t-shirt. This short sleeve crew neck tee features a cracked Superdry print across the body, a JPN cracked logo on the sleeve and a Superdry patch above the hem to finish. This tee is a versatile item to have in your wardrobe this season, it can be worn with jeans, joggers or even shorts on a sunny day!